An Art Deco console. 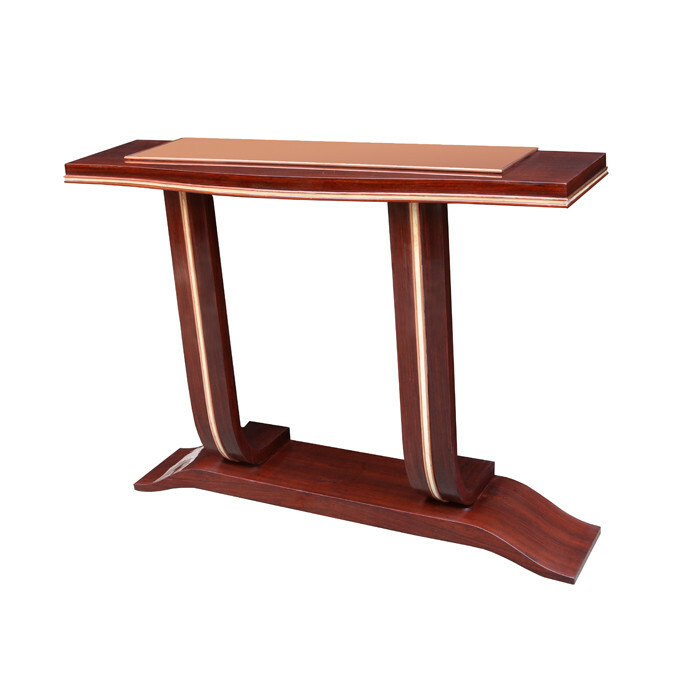 Mahogany with parchment inlay, copper details, and mirrored top. Dimensions: H:38¼ W:51½ D:14 Inches.